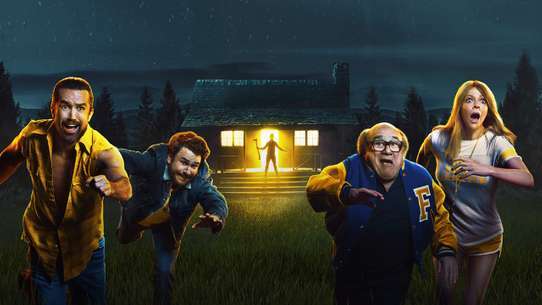 A group of castaways are stranded on a desert island, left there after a boat trip got caught in a storm. 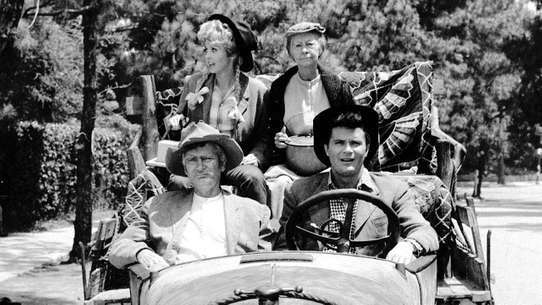 In each episode the eclectic group of castaways attempt an escape from the island, but are frequently foiled by infighting and bitter recriminations breaking out between the crew. Talk about a painful irony: though surrounded by water, the Castaways suddenly discover that their supply of fresh drinking water is running out. When they pool all available drinking water together and decide to ration it, they discover that they will each receive only a few drops per day. 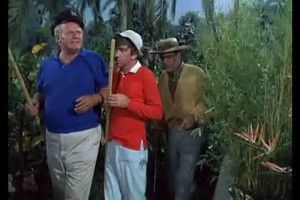 Of course, most of the castaways sneak water from the community supply when Gilligan is standing watch, but return it when the Skipper catches them. 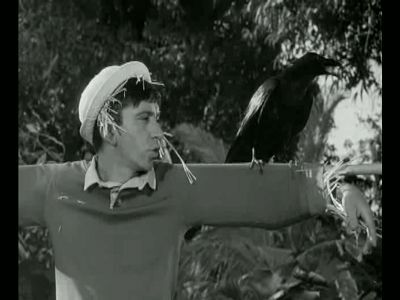 Just when all seems lost, Gilligan saves the day! 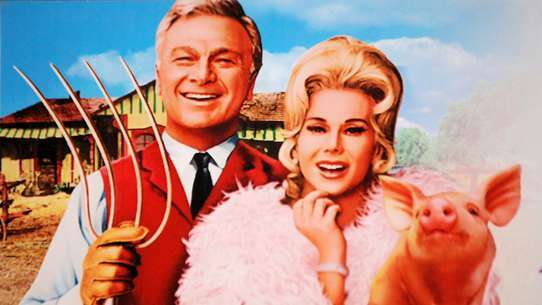 Mr. Howell revises his will, and leaves a large chunk of his estate to each castaway. 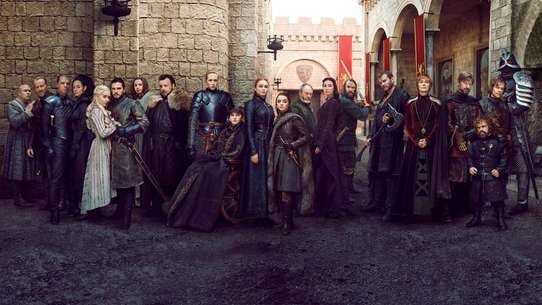 They decide to throw him a party to show their appreciation, but when he overhears them talking about which one of them is going to have to ""cut the pigs throat"" he thinks they are planning to kill him in order to collect their inheritance. Later, he discovers that they have actually trapped a wild boar in an effort to serve him bar-b-que spareribs as a surprise. 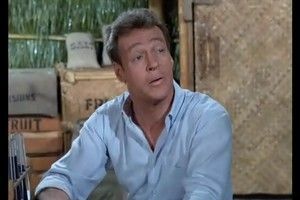 A crate containing coconuts is wrapped in an old Honolulu newspaper that read that one of the Castaways are being sought in a murder investigation. 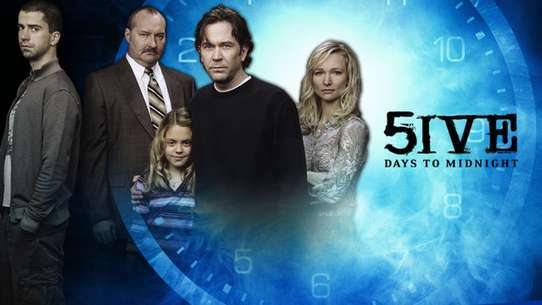 The castaways become suspicious of each other and decide to recreate the events of the night before they sailed, in order to solve the Randolph Blake murder case. 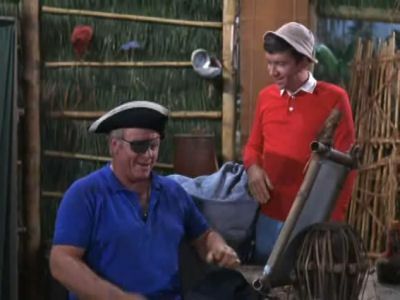 Gilligan and the Skipper hear a radio broadcast telling of the collapse of the Howell financial empire. 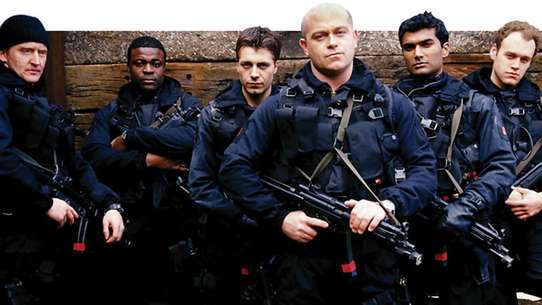 The castaways attempt to help them develop skills in order to compete in the working world. A hurricane is coming, so the Castaways must quickly build one large community hut in which to weather the storm. 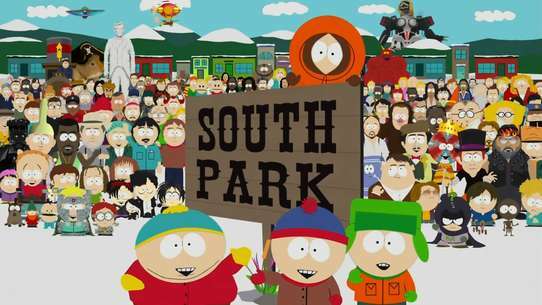 However, they soon get on each-others nerves, so they later decide to branch out and build individual huts. A U.S. Air Force jetpack washes ashore in the lagoon. 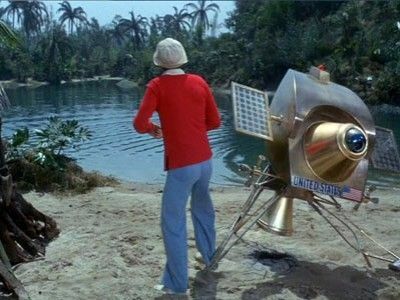 After close inspection of the jetpack, the Professor determines that the tanks contain just enough fuel to carry Gilligan to Hawaii. 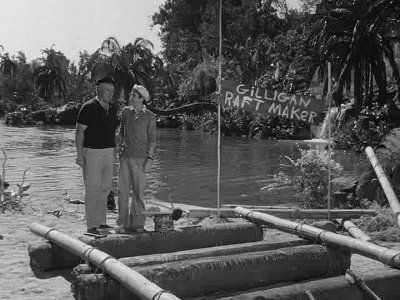 However, that determination was made before Gilligan wasted most of the fuel while proceeding to goof-up several attempts to be discovered and rescued. While flying the jetpack near where Navy search vessels are reported to be lurking, Gilligan is so scared by a radio report of an ""Unidentified Flying Object in the area"" that he blasts higher and hides in a cloud, not realizing that the UFO the Navy ships see is actually him with the jetpack! #7 - Mr. and Mrs.??? 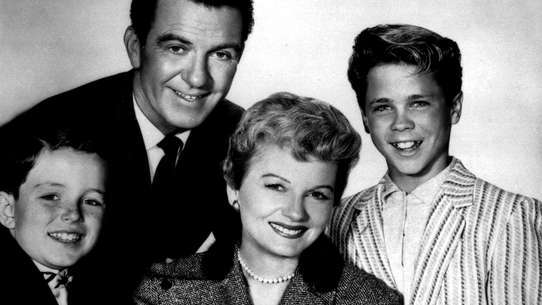 A radio bulletin states that the minister who married Thurston and Lovey Howell (the Reverend Buckley Norris of Boston) was a fraud, and that the Howell's marriage is actually null and void. 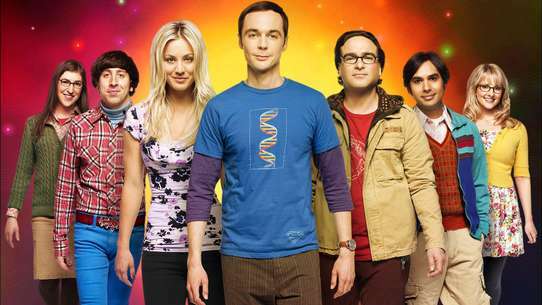 The stress causes disagreements and separations between the Howells. In the end, it turns out that the radio announcer was at fault: While he mistakenly reported that "Buckley Norris" was the fraudulent minister, he was supposed to say "Borris Nuckley." 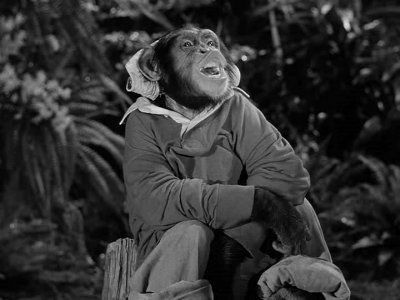 An loin-cloth clad ape-man (Tongo) comes to the island, and makes off with their food and supplies. Actually, he is an out of work actor, who tries to convince the Castaways that he is a real uncivilized ape-man while studying for an upcoming role. After he cowers when confronted by a ""real"" gorilla, he leaves the island and the Castaways behind. A storm washes up a Trans-continental telephone cable up into the lagoon. Once again the Castaways are given hope for a rescue, as the Professor manages to break into the cable and rig up a telephone so they can dial out for help. 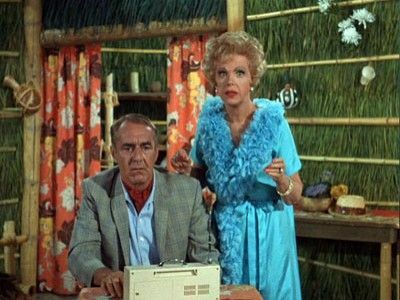 The castaways hear on the radio that a plane is going to be flying over their island, but they will be unable to contact them because their transmitter is broken. 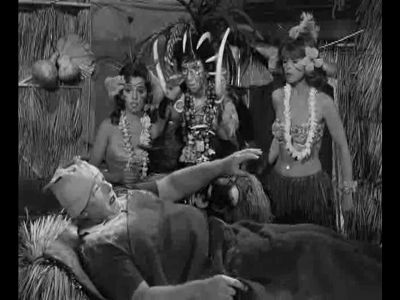 Gilligan overhears the Skipper dreaming about repairing a transmitter as he sleeps. 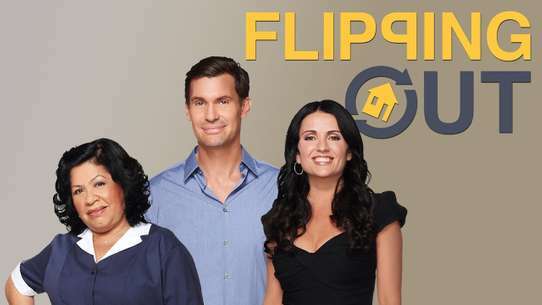 The Skipper is unable to remember how he fixed the transmitter from his Navy days, so he attempts to have the dream again, but is unable to fall asleep. Each castaway attempts to help by sneaking two tranquilizers into Skippers mango juice. 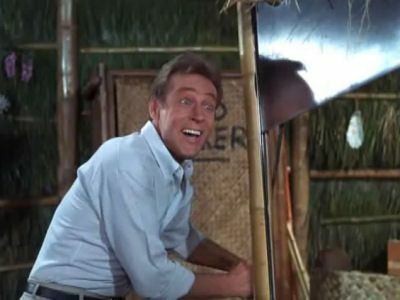 When Gilligan hits the transmitter out of frustration, it suddenly works! However, when he hits it again in an effort to show the other castaways how he fixed it, it falls completely apart just as the plane flies overhead. 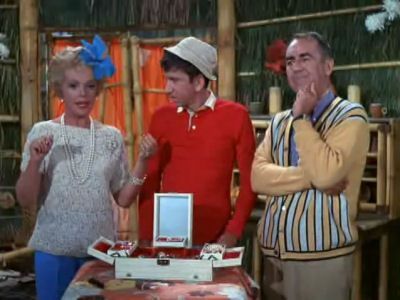 In a test of a deadly new missile, called "Operation Powder Keg," the Air Force chooses an "uninhabited island" which just happens to be Gilligan's Island. 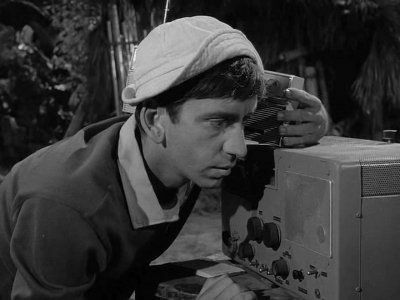 When the rocket lands and does not explode, Gilligan is chosen to crawl inside to defuse it, because he is the only one that can fit inside. Mr. Howell discovers a gold mine on the island. 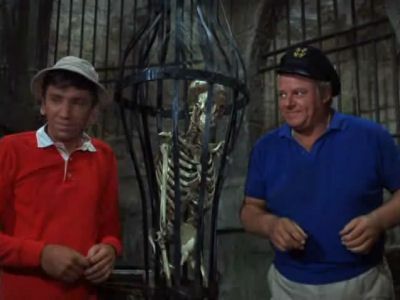 He then hires Gilligan to work in the mine. When gold fever strikes the castaways and Mr. Howell is unwilling to share the gold, they begin to charge outlandish prices for the supplies and food that Mr. Howell needs. When the professor repairs the life raft from the Minnow, they all climb in hoping to reach civilization. However, the combined weight of the gold that everyone smuggles on-board the raft causes it to sink. Another rescue foiled! 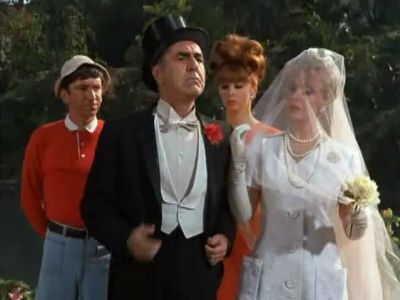 The Howells plan a party, and Mr. Howell accidentally loses the Skipper's invitation. The others refuse to attend, believing that the Howells have intentionally snubbed the Skipper. 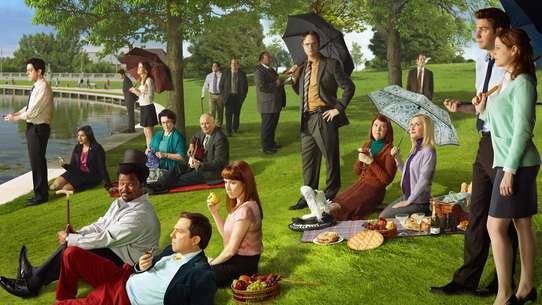 #14 - Diogenes, Won't You Please Go Home? 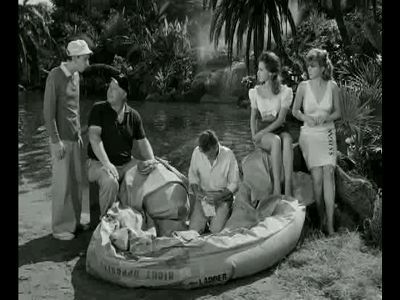 The Castaways discover that Gilligan has been keeping a secret diary. 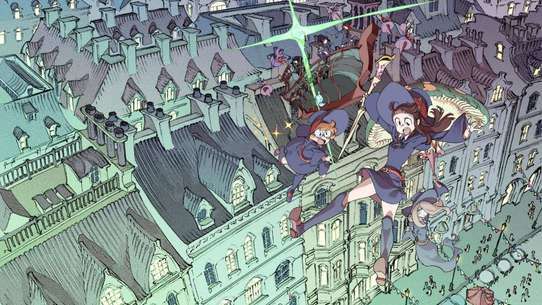 When they read it, they all seem to disagree with how certain events unfolded and tell their side of the story. A NASA satellite with a TV camera, accidentally lands on the island instead of the intended target: Mars. 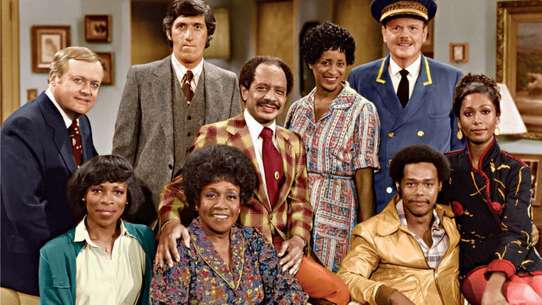 The castaways try to communicate their S.O.S. when the camera is operational. 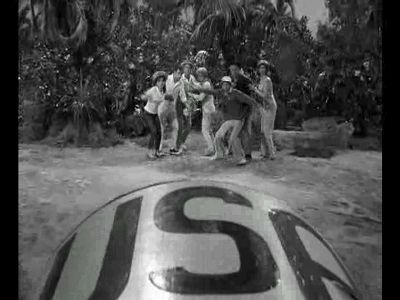 However, with the help of a Gilligan goof-up, the castaways are covered with glue and feathers, and the NASA scientists mistakenly believe they are seeing the first proof of life on Mars. 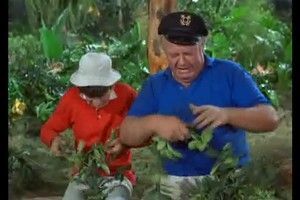 The Skipper fears that the island is full of 'voodoo' when he thinks that Gilligan has been turned into a monkey. 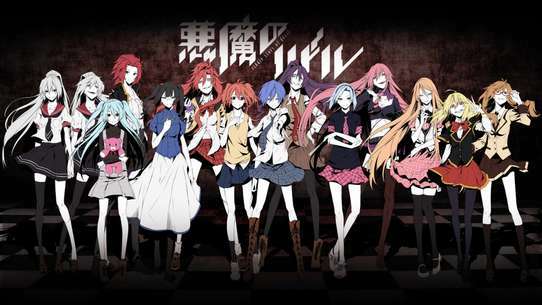 The Castaways are captured by a Japanese sailor who thinks that WWII never ended. 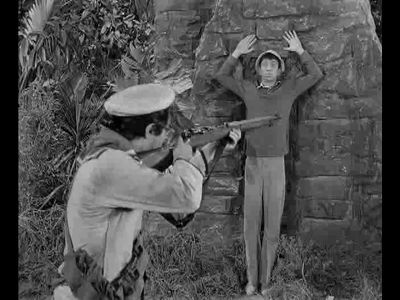 When the other castaways are captured, it is up to Gilligan to save them. 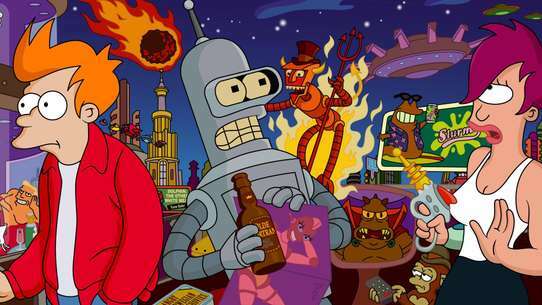 A mad scientist lands on the island and takes the Castaways to his castle . . . on a nearby island . 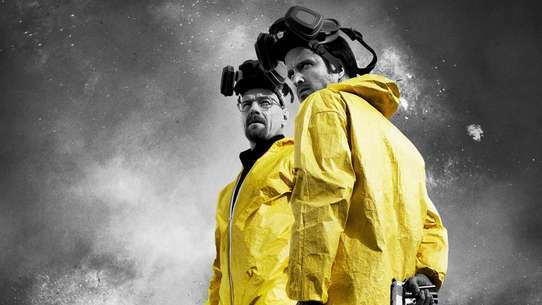 . . to perform experiments on them. 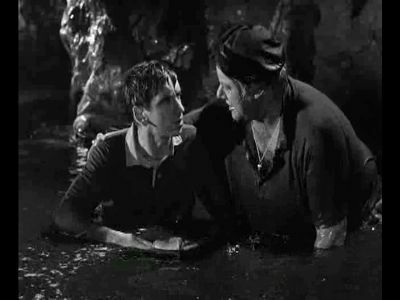 During Christmas, the Castaways get homesick and remember the first day they were shipwrecked. When Santa Claus ""appears"" on the island, many suspect he is the Skipper in costume. However, just as Santa departs while wishing the Castaways a Merry Christmas, the Skipper appears from the other direction. 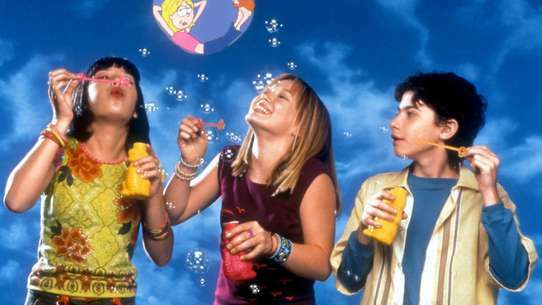 Someone kidnaps Mrs. Howell, Mary Ann, and Ginger, and then demands ransom money. 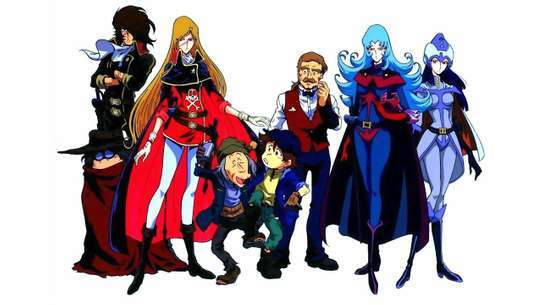 The kidnaper turns out to be a compulsive gambler who fled civilization to avoid temptation. 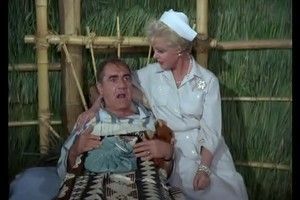 While the Castaways attempt to rehabilitate him, he ends up leaving the island, accompanied by Mrs. Howell's pearl necklace, Mr. Howell's wallet, and Ginger's earrings! While digging, the Skipper uncovers a carved statue of a Tiki God. 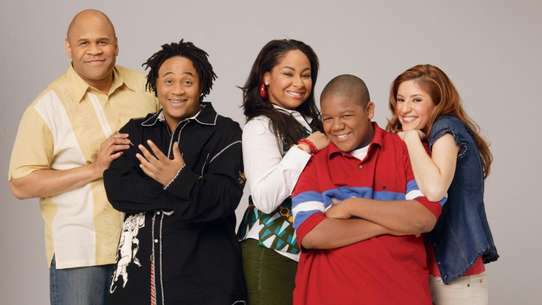 He then believes a curse has fallen on him for disturbing the resting-place of Watubi, and that his days are numbered. 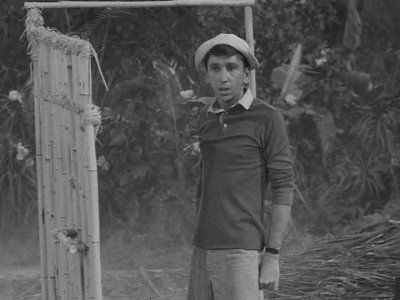 Gilligan dresses up as Watubi, and performs a special ritual dance that the Skipper believes will lift the curse. 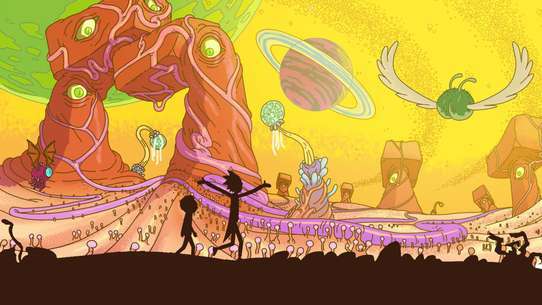 It is an earth-shaking experience! The Castaways are faced with running out of food, when a blight threatens to destroy many of their plants. 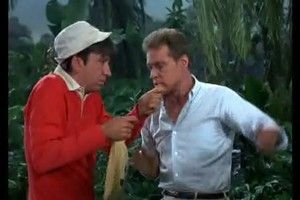 When Gilligan finds a duck in the lagoon, a difficult decision must be made. Should they eat the duck, or tie a rescue note to it and let it fly away? 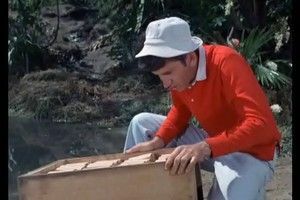 Gilligan finds a crate of radioactive vegetable seeds. The plants grow quickly and grossly misshapen, but the Castaways are so hungry for new items in their diet that they consume them quickly. The plants, when eaten, give the castaways super-human powers. Of course, after he realizes that the vegetables are radioactive, the Professor saves the day by making a homemade soup to absorb the radioactivity. The Castaways hear on the radio that the Maritime Board of Inquiry has blamed the Skipper for the Minnow crash. 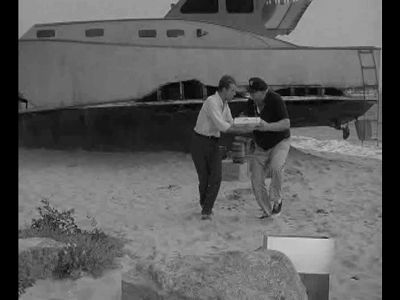 In an attempt to disprove the board's verdict, they reenact the shipwreck themselves, only to find out that the cause appears to be Gilligan's ineptness. 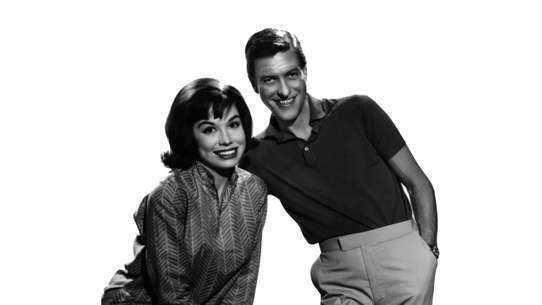 Later, a radio update reports that the Board of Inquiry has cleared the Skipper of the charges, as the Weather Service mistakenly read the wrong forecast that morning causing the crew to be unaware of the impending storms.